In Kyushu, the southernmost of Japan’s four main islands, the volcanic activity of the archipelago is obvious and nowhere more so than near Kagoshima towards its southernmost tip. Incidentally the area around Kagoshima is called the Satsuma Peninsula which we found endlessly amusing even before we found out it actually is famous for citrus fruits. The Komikan tangerine is a variety indiginous to the area and tastes a bit like a cross between an orange and a lime – very yummy! 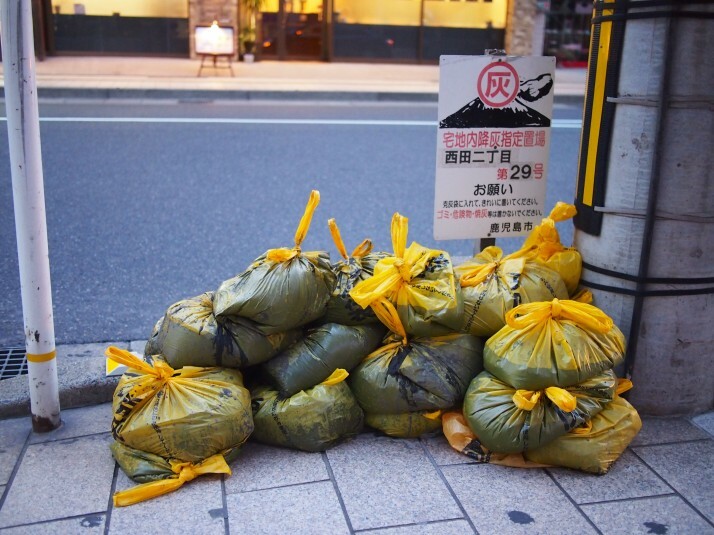 One of the reasons we visited Kagoshima was the fish market tour, but we were also keen to see the volcanic activity and how it affects the day-to-day life of the residents. We took the cruise ferry, which departs once a day from Kagoshima, and takes 50 minutes instead of the 15 minutes of the direct ferry. It skirted the lava fields around the south-west part of the volcano before arriving at the port. At the port we hopped onto the ‘island view’ bus to head up to the Yunohira Observatory, the closest access point to the crater. At 373m above sea level it’s just over a third of the way up. 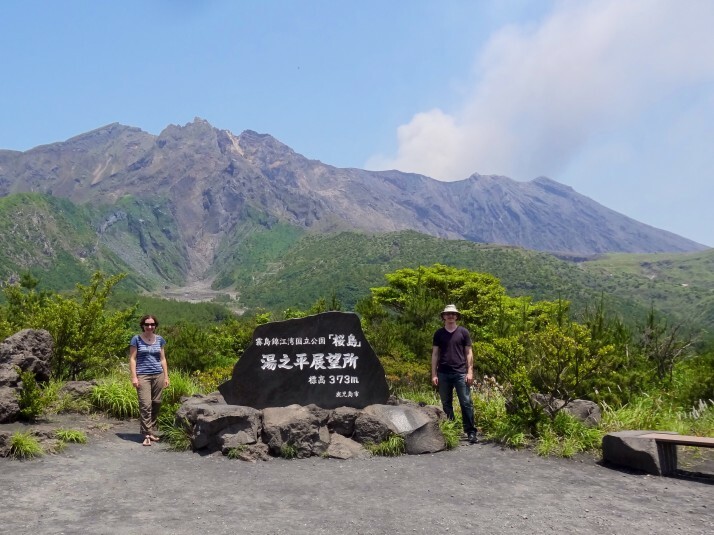 After we’d taken some photos of the volcano and admired the view of Kagoshima, there didn’t seem to be much more to do there and we still had 45 minutes to wait before the next bus. Then we noticed that the information leaflet said there were seven heart shaped stones hidden around. It seemed like a reasonable way to pass the time but even after a thorough search including the car park we only managed to find four, perhaps the rest were covered in ash! 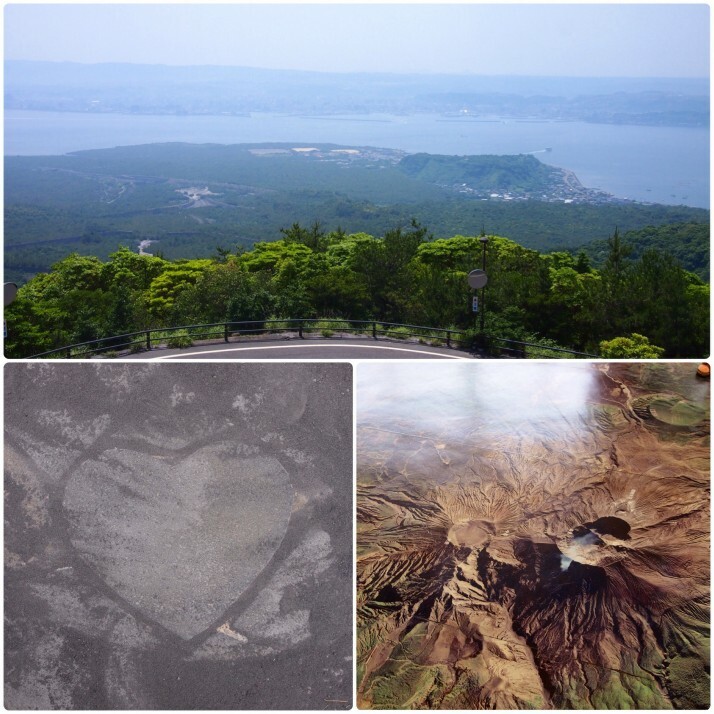 An interesting effect of the volcanic activity can be experienced in Ibusuki, an hour south of Kagoshima by train, where steam bubbles up through the sand heating it to spa temperatures. 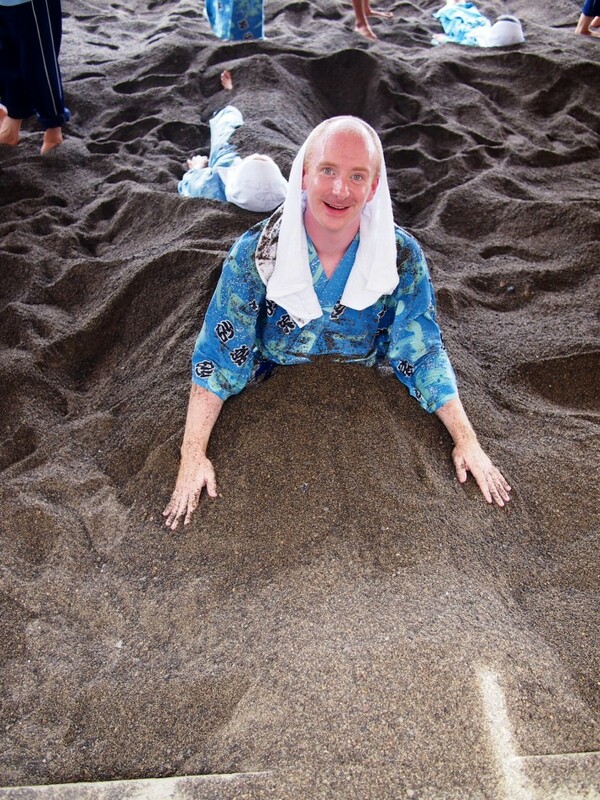 We like a good hot bath and so we were keen to try the hot sand. 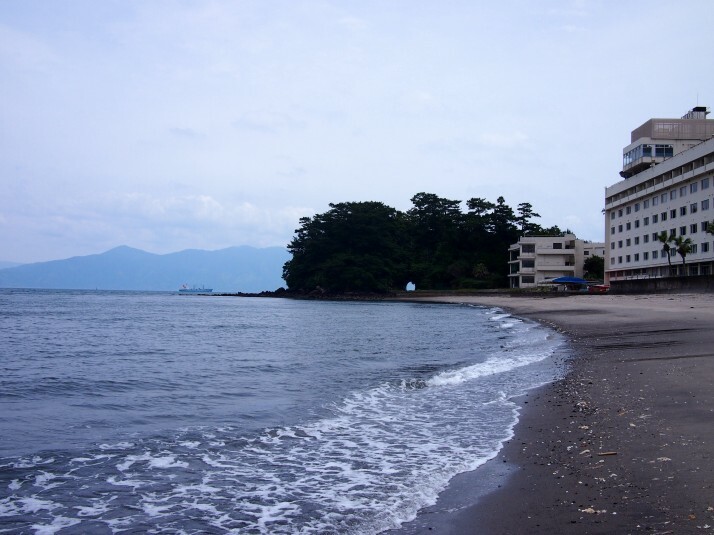 First we wandered along the deserted seafront and ate our packed lunch sitting on the seawall and gazing out to sea before making our way back to Sunamushi Kaikan Saraku (Natural Sand Bath) and paying the entry fee. 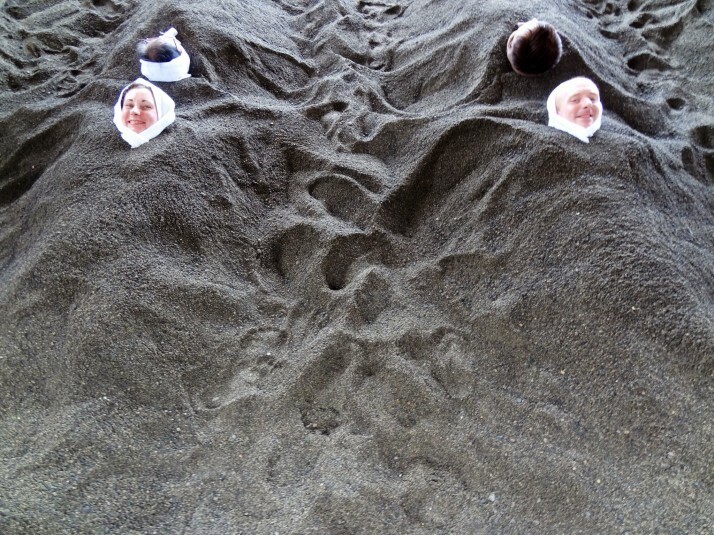 In the changing rooms we put on the provided yukata (imagine a kind of cotton dressing gown) and made our way to the beach where we lay down in a hollow and the staff began to shovel hot sand over us, something like you might have done to your dad on the beach as a kid. It was a relaxing experience and not actually as hot as we’d expected. The recommended time to stay covered for the full blood cleansing benefits is 10 minutes but we both managed at least 15 minutes. After wriggling our way out we made our way back up to the onsen building to rinse the sand out of all the places it had worked its way into. 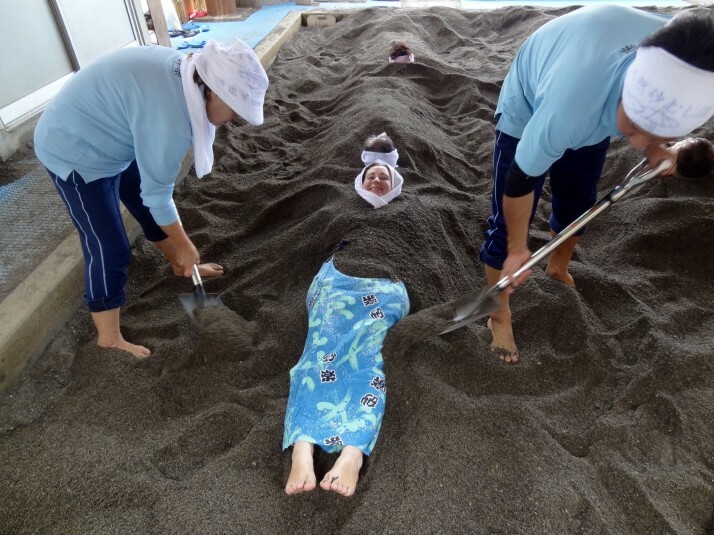 The sand bath was a fun and unique experience and left our skin feeling thoroughly cleansed. 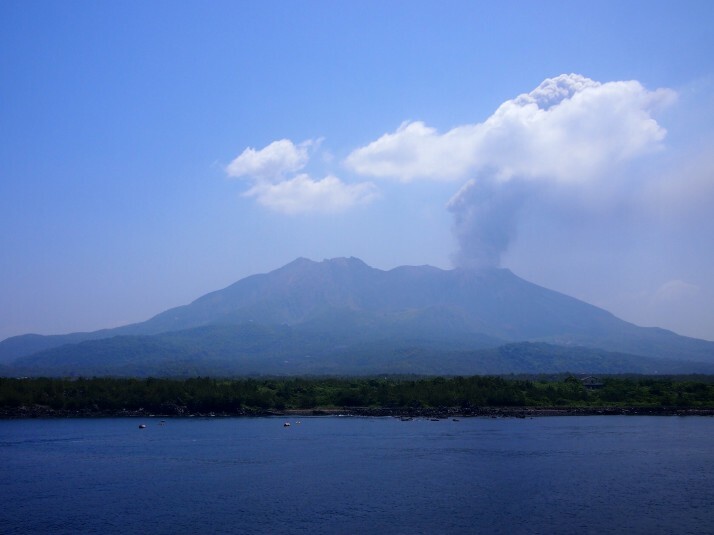 This entry was posted in Places and tagged Japan, Kagoshima, Kyushu, volcano on June 24, 2014 by Julie. 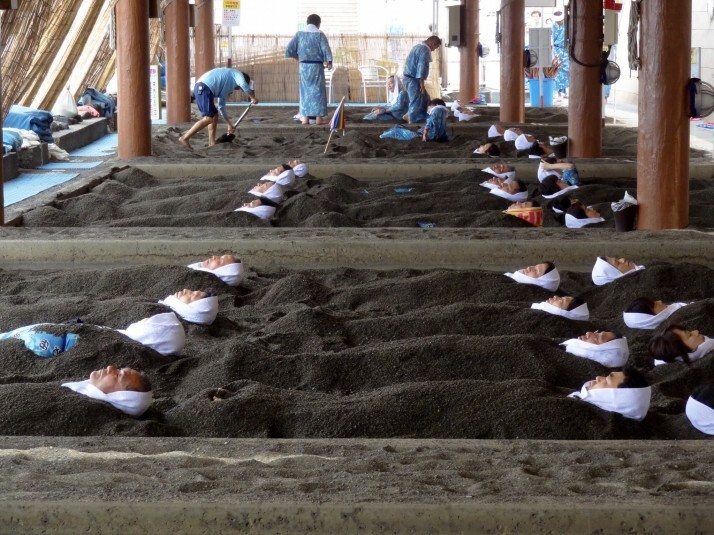 The sand bath looks disturbingly like a mass grave. 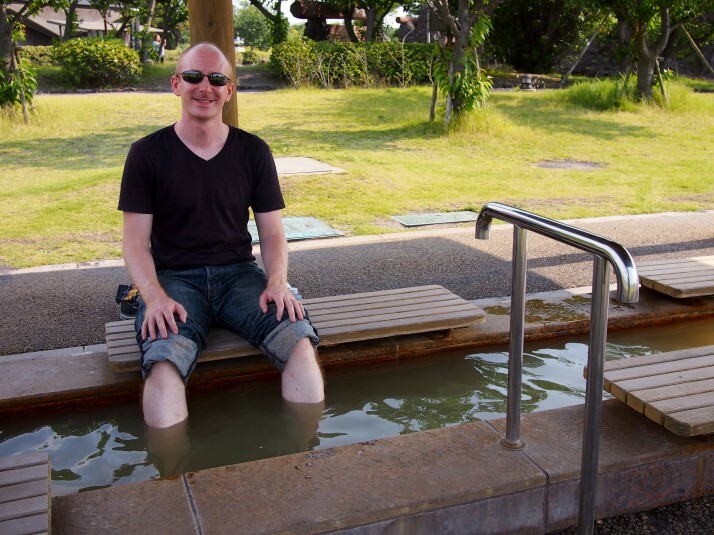 I do love the idea of public footbaths! It was what my colleague said when I showed her the photo! What is 30 + 12 ?